Whiland is a family business, established for over 35 years, and based in Dumbarton, Scotland. 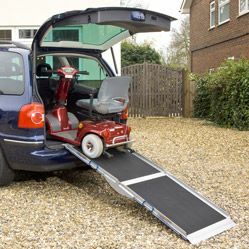 We manufacture and install modular access ramps and can also supply portable ramps, stairclimbers and evacuation chairs. 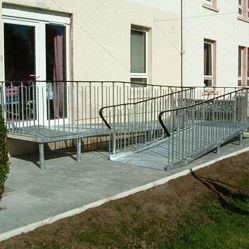 Our main product, however, is our modular access ramp which is manufactured in our factory here in Dumbarton. Whiland have a reputation for providing high quality products along with very high levels of service. "I would also like to thank you again for the hire. 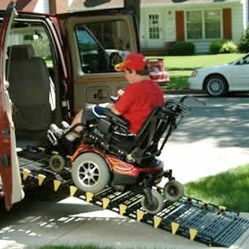 We have all been very impressed with the quality of the ramp. Many other arts organisations as well as Edinburgh City Council have commented on it. It has been a pleasure dealing with your company." "Both product and service was excellent. From first point of contact through to completion, everything was excellent and of a very high standard. Thank you to everyone involved."